5 Minutes With David, a GrabHero! 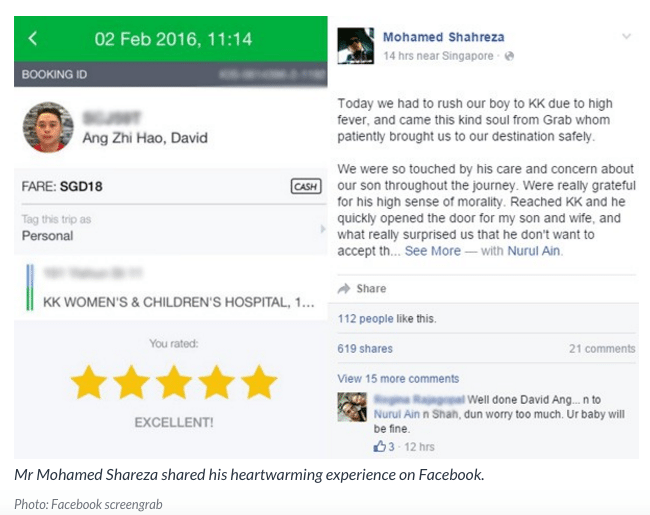 Early this February, GrabCar partner David Ang warmed the hearts of many Singaporeans by his act of kindness – to a couple and their sick child. Grab sits down with David to understand why he did it and his motivation for being a Grab partner. Grab: We ‘re all interested to know more about what happened and why you didn’t take the fare. Can you take us back to that day? David: It was in the morning around 11 plus, and I was in Yishun when the booking came in and I saw that the destination was to KK hospital so I was already thinking that it could be a kid that was sick or something like that. When I picked them up, I saw that the baby was tired and looked weak so I asked them more and found out he was running a 39.4 degree fever, so I took the shortest route to get them there. Once we arrived, I didn’t want to take the fare. Grab: Can you tell us why? David: In Chinese tradition, we give “ang baos” to little kids for them to have good luck and I thought that it would be good to give this kid some good luck. Actually Shah ( the father) wanted to pay me but I said “ Eh Shah, this isn’t for you. It’s for your baby!” So he accepted it . Grab: I see, do you have children of your own? David: Yes, I have a kid about 18 months old so I knew how it feels to have a sick kid running a high fever. 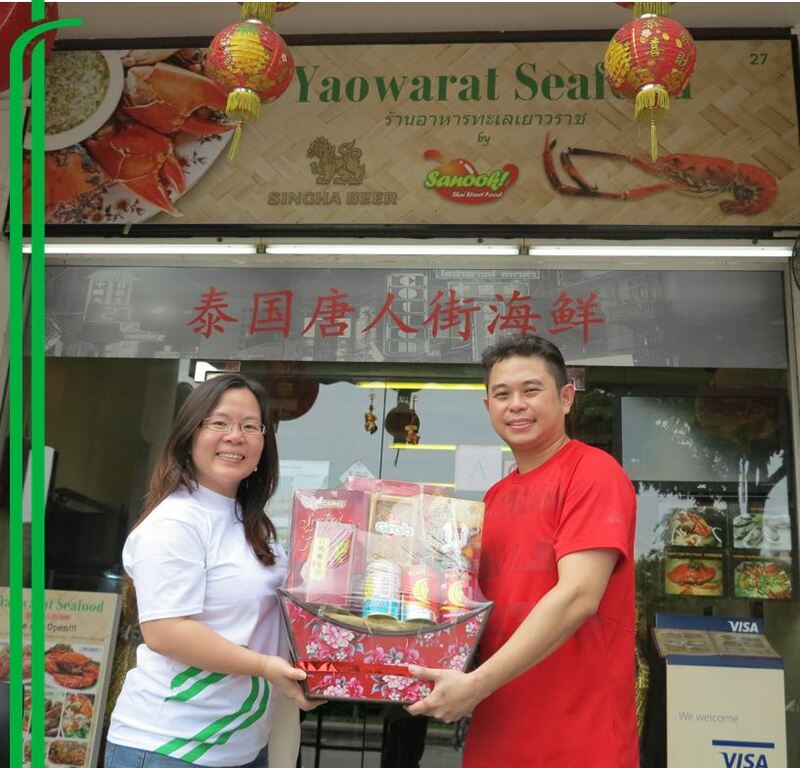 Grab: David, We’re so proud to have you in our Grab Family and having this chat in your restaurant makes us wonder about your motivation to be a Grab driver. Can you tell us more? David: I do GrabCar in the morning as I only need to be in the restaurant in the evening . This restaurant is fairly new and although business is picking up, I still need to pay off the initial capital so doing GrabCar is perfect for me for additional income. David: Yes, I have time when I’m not needed to just turn on the app and start driving around. Also it’s really quite fun to meet new people. Grab: Thanks for the chat David and thank you again for being such an outstanding Grab driver. A chat with David, a GrabHero!